UNIVERSAL EYE | Seeing is now from the point of view of the Centre, from which every thing is seen to be part of the Whole. Seeing is now from the point of view of the Centre, from which every thing is seen to be part of the Whole. Moina then showed them the poem by John Macrae and shared her inspiration. They were duly impressed and took the poem back with them to the Conference room. The conference were equally pleased and the men returned asking for red poppies to wear. That Saturday afternoon Moina went poppy hunting in New York City and eventually found twenty five small silk red four-petaled poppies, fashioned after the wild poppies of Flanders. On her return to the university the men came crowding round for poppies to wear. She pinned one on her cloak collar and gave out the others. This was the first group ever to ask for poppies to wear in memory of their soldier dead. As a result of ‘The Poppy Lady’s’ tireless campaigning, her dedication to the cause and the inspiration her idea gave to others, the red field poppy has become an internationally recognized symbol of Remembrance and continues to draw heart-felt public support as a fund raiser to relieve distress among war veterans and their families. Moina’s heart had been stirred by a poem written from the heart of a poet. This opened an access point to the ‘war dead’ and she spiritually heard their grief and suffering. We too can feel the heart open on reading the old war poems, or on hearing current war news (and not being entertained by sensationalism and human tragedy). On Remembrance Day (Memorial Day in May in America) the poppy can remind us of those who died in battle and is a point in time which can be used for heart communion with the ‘war dead’. There is a recorded personal story of a soldier killed in 1918, ‘Private Dowding’, which describes his experience of ‘death’ in the battle-field. He had been sure death would mean extinction and he knew that many believed this. It was because extinction did not come to him that he was drawn to communicate his experience hoping that it would prove useful to some. He did in fact ‘move on’ and describes inhabiting heaven worlds. The writer of this article mentions ‘Private Dowding’ because of a coincidence that happened one November morning. She had been reading this book when the Poet-philosopher and author of ‘Centre’ happened to visit. She told him about Private Dowding’s story and how Centre understanding had opened the way to make sense of the soldier’s afterlife story. As Brian Taylor listened he had looked at his watch and quietly observed that it was exactly 11am – it was Remembrance Sunday (2012). The ‘war dead’ have their suffering to wake up from; the living can recognise them when they come. We can share their Communion and unlock the meaning of that wonderful word. in a low-level window. The full-length body of a dead pig cut perfectly in half from nostril to tail. The one nostril oozing congealed blood, the one eye shut, white eye lashes curled, the one front leg and foot stiff, the one back leg the same. “Really?” My astonished reply was lost on the father who had moved on to keep up with his children. Organic or not, the death trip to the slaughter house is the same nightmare of fear, dread, betrayal, suffering and violent loss of life. To see with compassion the men who are paid to kill the pigs (and other animals) in the slaughter house. Because of human greed, such brutalising and dehumanising work is done and carries dire consequences for those who do the killing (as well as for those who perpetuate the suffering and killing of pigs). The scale of suffering is formidable! PIGS are unfinished business in the conscience of humanity. SEE suffering with compassion and understanding. UPDATE! STOP eating pigs (and any other animal). I recalled visiting the Findhorn Community in Scotland many years ago and being at a gathering in their Community Hall to meet an esteemed Tibetan Buddhist Lama. He and eight monks had been flown in by helicopter as invited guests for the afternoon. He had answered simply “I don’t know” and then asked the questioner whether this was her own experience. She had replied enthusiastically quoting someone else who could hear carrots and cabbages scream! The Lama had smiled with good humour shining from dark oriental eyes and had encouraged the lady to investigate for herself and to let him know when she found the answer. I have never heard distress sounds from vegetables or trees and was curious about whether there was any truth to such stories. I asked Brian Taylor, the author of ‘Centre The Truth about Everything‘ if indeed trees and plant life could feel pain when cut down or dug up. This was awe inspiring to hear. It gave credence to the countless folk and fairy tales involving Nature Spirits that go back as far as can be remembered in the story telling traditions in all cultures on Earth. In the book Centre the description of “Devas” is understood to cover all beings with bodies of mental construction – gods, angels, guardian angels and household gods (what the Romans called lares and penates). The gods and angels are described as inhabiting specific heaven worlds, though not confined there. The household gods remain in a particular dwelling place. Other devas are described as spirit beings which move around quite freely in the parallel worlds of astral and material form. They inhabit trees, plants, streams, rivers, even flowers. Most of the English names familiar to us for this kind of deva derive from the Graeco-Roman culture: Naiads, nymphs of fountains, springs, wells and brooks. Dryads, the nymphs of trees. Anthoussai, nymphs of flowers. Every spot on Earth is thought to be alive and imbued with a spiritual element that is accessible to a developed human consciousness. These are invisible beings. They can know what we think and feel. Our thoughts and feelings are part of their habitat. In Centre an example is given of how in Buddhist Southeast Asia it is not unusual for tree devas to be seen. When seen a brightly coloured muslin-type cloth is wrapped round the trunk of the tree to indicate that it should not be cut down. Offerings are made to the tree deva such as lighted joss sticks, rice and fruit. The effect of destroying the trees and bushes in which these devas live is that they simply lose their home, just as humans do if their houses burn down and they escape the fire. The devas are not destroyed. However, they can and do experience loss and sorrow. They can also experience anger. This may result in hostile actions aimed at those responsible but, as the author of Centre writes, they cannot normally impinge upon the physical human form directly. However, they can reach the mind and cause dreams and nightmares. There is a story about a group of monks in the Buddha’s time who had taken up residence in a cave to meditate and were disturbed by ‘dreams and nightmares’. The Buddha instructed them to radiate loving kindness to the devas of the cave. This solved the problem. So there may be some truth after all to the story of a sensitive who can hear a carrot scream but if it cannot be disturbed plant life they are hearing – might it be sounds from the “deva” world? The Buddha’s advice to send out thoughts of loving kindness to all beings, seen and unseen, is as applicable now as it was over two thousand years ago. It is a reminder of the powerful effect of human thoughts and feelings. Flowers, plants and trees give us an opportunity to recollect this optimum response – here and now. Memory cannot, of itself, lead to Understanding. It can only shape Points of View which are endlessly subject to change. Understanding based on Memory is therefore also endlessly subject to change. It will also have to compete with other competing “understandings” (Points of View). Real Understanding only comes into existence with DIRECT SEEING IN THE PRESENT MOMENT. As soon as it enters Memory, it also is already subject to revision because it has become detached from Seeing. What you remember is filtered by your window frame. The man at the upstairs window will see something different. The man at the back bedroom window may doubt your sanity. The circle represents the confines of a system in which duality operates. In our case, this is the field of Humanity. A & B represent any and all conflicting opposites. The list is endless. AB passes through the centre of the circle at R. It indicates the maximum polarity possible for AB within the circle. This provides the maximum distance between the contestants A and B. The arrows on AB and AC indicate the direction of flow. The arrows on CR, one below C pointing towards R and one above R pointing towards C also indicate the direction of flow. On AR, to the right of A, there are two arrow points facing each other thus: > <. On RB, to the right of R, there are similar arrows. These arrows represent the confrontation points which are continuously appearing anywhere and everywhere throughout the plane of conflict which is the line AB. These confrontations are interminable. If A were ever to succeed in defeating and occupying B, B would immediately reappear in another guise at A and the confrontation would resume. History illustrates this very clearly. C represents the upstream point at which humans are reconciled by abandoning A and B. It is both an exit and an entry point. The dotted line through C and parallel to AB represents the plane of reality occupied by Humans who are, just that, Humans. They have abandoned the identifications which create the AB conflicts or have never descended into that lower world in the first place. R represents the linear point, within the horizontal field of conflict, where, by abandoning A and B, reconciliation is also achievable. This is unlikely, however, because of the momentum accumulated by the Pendulum of Conflict in its ongoing advances and retreats. This momentum reinforces the differentiations of A and B. The diagram is static. In reality everything is dynamic; every atom, every cell, every solar system. For the sake of simplicity, the diagram is two dimensional and shows one AB line. Actually, there are an unlimited number of AB lines spreading out in all directions from R to the circumference, just as there are an unlimited number of issues on which humans are divided and are in unrelenting conflict with each other. Each and every one of these issues on which humans are in conflict with each other has the same Reconciliation Point; the complete surrender of identification with the points A and B. This is replaced by direct seeing the way things actually are in the present moment. Reconciliation is rediscovery in the living present of sameness – our real and eternal Identity. This replaces identification with “differentness” which occurs when understanding is based on memory of the past and the points of view it conditions. These points of view include corresponding projections into an imagined future. Furthermore, the two dimensional diagram represents a three dimensional sphere, the sphere of human existence, within which an infinite number of AB lines radiate outwards from a single immaterial point. On the material plane, this includes the planet on which our dramas are played out. Because of the enormous powers of destruction which human beings have obtained, our continuing failure to solve our ongoing and worsening AB conflicts now endangers the Earth itself. The apparent vacuum within the circle itself is actually full of events, incidents, hostilities, revenge, justifications, memories, points of view, understandings and misunderstandings. All are movements of the conditioned mind. It is a rich compost in which A and B continually seek and find the food to support and nourish their differences rather than resolve their conflicts. It is like a thistle growing next to a lettuce. Each takes from the same soil what its roots need to keep thistles quite different from lettuces. Article Fact. Using the latest poultry science and genetics, a broiler chicken’s life, from hatch to dispatch, reaches its target weight in 35 days. The fact not revealed is that modern broiler chickens, slaughtered at only five weeks of age, are frequently diseased and crippled. Technically, modern broiler chickens are clinically obese. Even when they’re just a few weeks old, all manner of diseases of obesity may have set in. Article Fact. 95% of the 50 billion chickens eaten in the world every year are broilers. There are actually very few species of broilers. Whether in Sydney or Shanghai, Nairobi or Mumbai, the chicken served up is likely to be the exact same breed of broiler. No other farmed animal system relies on such a narrow genetic base. Moreover, there are only three dominant companies in broiler breeding. Article Fact. More than half the chicken eaten globally is from an Aviagen bird. The poultry-breeding company Aviagen (it breeds turkeys and fish as well as chickens) is privately owned and notoriously secretive. It runs a highly technical business. The head of Global Genetics at Aviagen said, “Through multiplication centres throughout the globe we supply parent stock to more than a hundred countries.” A single elite Aviagen male bird will go on to be represented in 50 million chickens anywhere on the planet – bred to grow faster and more efficiently. The fact not revealed is that in order to breed successfully, the parent birds, genetically identical to their offspring, must remain underweight. So they are kept hungry. Sometimes very hungry, eating their meagre rations, finely tuned by the breeding companies, in a matter of minutes, their suffering compounded by the fact that they, like their offspring, have been genetically selected for big appetites. Article Fact. Concerns about the chicken’s welfare and health hardly make a dent in this meat’s popularity. Without the highest standards of husbandry the crowded, warm and humid conditions in which chickens are raised are perfect for bacterial diseases (salmonella, E coli and campylobacter), which may cause serious diseases in humans eating contaminated chicken if not properly cooked. Defence that builds up slowly would be useless for an animal that will be dead in five weeks. So vaccines to prime chicken immunity to resist attack are injected into each embryo in the egg three days before they hatch. Article Fact. A chicken financier from Rabobank International was asked what global chicken is worth and the answer is about $450bn and rising. Article Fact. The intensive broiler chicken industry is transforming the face of global eating. Now, hundreds of millions of chickens live and die in factory farms. The fact not revealed is that in addition to health problems arising from their genetic make-up, the birds’ living conditions are unacceptable, being unsuited to the birds’ needs and insanitary. Broilers are not caged; they suffer from a completely different range of serious welfare problems to those encountered by battery hens. Diseases and injuries caused or exacerbated by living conditions in the windowless controlled environment sheds include hock burns, ulcerated feet, poor feathering, heat stress, and injuries caused by birds becoming trapped in automatic feed devices. Conditions in broiler sheds which may cause distress or actual pain include dim lighting, inadequate ventilation, filthy ‘capped’ litter, overcrowding and the impossibility of properly inspecting the stock. “Procedures in far too many poultry slaughterhouses do not ensure that the birds are adequately stunned, leaving an unknown number alive, and some still conscious, when they enter the scalding tank.” – Dr Henry Carter, past President of the Royal College of Veterinary Surgeons. The newspaper article rounded off with the glib statement that no longer is there any doubt that broiler chickens will become the most popular meat in the world and (astonishingly) compounded this glibness with a list of the best selling chicken dishes available in various well known outlets. By not revealing the truth of suffering as the extraordinary fact in a broiler chicken’s life and death, the insight that “What we do to another we do to ourselves” could not be illuminated. Humans urgently need to awaken to our inter-connectedness and oneness with all life. We need to stop buying ‘genetic freak’ dead animals from factory farms. Stop turning a blind eye to the insane mass killing of billions of bird beings. Stop eating corpses. We need to have moral respect for animals of all species and not use them as resources. Buying ‘organic’ or ‘free-range’ chickens is still not the answer – it needs a change of lifestyle. Become vegan. It is not difficult and you will not be part of the suffering cycle of the broiler chicken (and of any animal). It is morally the right thing to do. We are living in a very auspicious era: so many paths, healing methods, meditations, wonderful spiritual teachers, channelers, writers, artists, musicians – all so instantly available through the internet. So much information to dip into, choose from, try out and experiment with – we can be ‘butterflies’ forever and never reach the goal. Or we can miss the precious opportunity and be put off by trigger words like “religion”, “God”, “Christianity”, “karma”, “Buddhism”, “reincarnation” and so on. CENTRE: There really is only One. Call it God, Source, Tao, One, Nirvana, Emptiness, Void, Absolute… whatever – it’s not the name. Every living and non-living thing is part of the One. There is no “Other”. Every thing arises out of the Centre of this One and subsides back into it. Just like waves rise and fall but are never separate from the sea. ETHICS: The fundamental, easily understood ethic is: Don’t do to others what you would not like done to yourself. Since all is One, what you do to another – you do to you. Ethics is the natural result of this understanding. In practice this means you would stop killing, stealing, sexual misconduct, false speech and taking drugs and intoxicating drinks which lead to carelessness and mistakes which affect others (and yourself). Ethics becomes your lifetime’s training for perfecting behaviour as your thoughts, speech and actions align with the truth of Oneness. HAPPY MIND: Because you are not causing harm to “another” this gives rise to a happy mind. Happiness is the thermometer which indicates where you are now. By asking yourself, “Am I happy?” you can gauge what percent – 40%, 50%, 80%? You may notice that it can vary hour to hour, day to day, week to week… Ethics stabilises happiness and enables you to home in on purifying the mind so that negative or unwholesome states will never rise again. When this is achieved you will have reached your eternal dwelling place of perfect ethics and happiness. CLEAR CONSCIENCE: This is the test. Although the things that you have done in the past will still cast their shadows on the present, the shadows themselves will fade. Your conscience will become clearer. The radiation from the Centre (which has a physical location in the body – where the breathing starts and finishes) which is non-dualistic in nature, reflects back, from the point of view of non-duality, your mental activities. It is a mirror image. Every time you experience a feeling of discomfort emanating from the stomach area around the Centre, can you associate it with something you have done, are doing or thinking? DOING SOMETHING ABOUT IT – NOW: It’s very difficult to be honest with ourselves. We can justify our behaviour with lightning speed, avoid confrontation and endlessly occupy ourselves with substitute activities rather then face the truth about the way things really are. Acknowledging that we did something wrong, made a mistake, is the first step. Then we need to do something to put it right. Sometimes it appears that nothing can be done now – the person may appear to be dead or out of reach. You can still do something meritorious and share the merit with them wherever they are NOW. Done with clear intention, it will reach them and make them happy. This is a liberating thought because it opens the door of opportunity. Sometimes it seems that nothing can be done and one just has to put up with the consequences and wait for karma to come round again. These five personal insights, when developed and maintained with self-awareness, change you. When your actions towards others are positive, you experience the positive result of being drawn closer and closer to the Centre of the One. This article is based on talks by poet-philosopher Brian Taylor – author of ‘CENTRE The Truth about Everything’. The scientific recognition that meat eating is dangerous to human health is the link between two ground-breaking books published forty years apart; Animal Machines by Ruth Harrison (1964) and The China Study by Colin Campbell (2006). A second edition of Animal Machines was launched in March, 2013 at Oxford University on the occasion of a Zoology Department conference to celebrate two remarkable scientist-pioneer women and their books; Rachel Carson and her environmental classic Silent Spring (1962), about the ecological risks of the indiscriminate use of chemicals in agriculture, and Ruth Harrison’s Animal Machines, an exposé of factory farming. Ruth Harrison (1920-2000), a Quaker and lifetime vegetarian, had felt a moral responsibility to help factory-farmed animals. A vital insight that developed from her work was the importance of a fully integrated approach to ‘animal welfare’ in which concerns such as environmental impact and human health are taken alongside each other. She observed that the incidence of degenerative diseases in man was rising at an alarming rate and recognized that human health and well-being were directly related to animal health and well-being. Her remarkable documentary book is composed of research facts, harrowing photographs and detached reporting on what she witnessed on visits to factory farms in England in the ‘60s. Comparisons are included with factory farms in America and Europe. She further explained how some may find it easy to lull their consciences when only animals are concerned, but that the issues under discussion extend beyond conscience and impinge in the most practical manner on the physical well-being of the human race in so far as the food provided by these means is not only inferior but dangerous! The conclusion Ruth formed was that ‘meat eating has become a hazard’ as a direct result of factory-farming methods and their dependence on abnormal environments, unnatural feeding, genetic modification, antibiotics, hormones, tranquilizers and drugs. The Second Edition includes a description of the reaction to Ruth’s book. It was serialized in a major British newspaper and caused an immediate expression of shock and outrage from the public who realised that they were supporting institutionalised cruelty through their grocery purchases and poisoning themselves with unsafe food at the same time. In response to the furore, the government had set up what became known as the Bramble Committee to investigate ‘the welfare of animals kept under intensive livestock husbandry systems’. The Committee’s report included a remarkable appendix written by William Thorpe (also a Quaker) on ‘the assessment of pain and distress in animals’. The creation and funding of animal welfare research in the UK resulted from the influence of this report and Ruth’s book. The far-reaching discoveries of The China Study (2006) strikingly contribute to Ruth’s conclusions of over forty years ago. 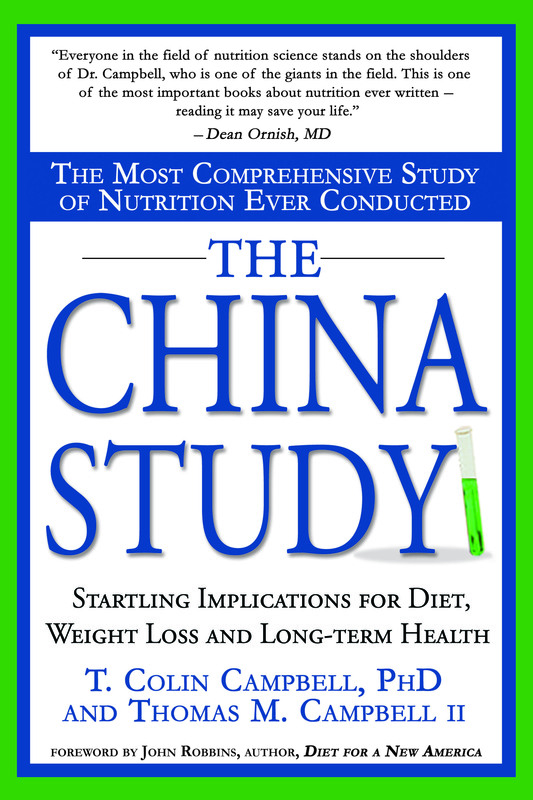 In his book Colin Campbell presents the results from a study of the relationship between diet and disease done jointly by Cornell University, Oxford University and the Chinese Academy of Preventive Medicine. It spanned over twenty years of research. Simply put, the study’s startling conclusion is that an ‘animal protein’ diet is the main cause of the ‘diseases of affluence’ i.e. cancer, heart disease, diabetes, obesity, Alzheimer’s and auto-immune diseases. The study also reports that a ‘whole food plant based diet’ maintains good health and can facilitate healing of disease (and by-pass the need for aggressive and costly surgery and drugs). Similarly, Ruth had concluded that ‘most sickness could be prevented by the right feeding of the people.’ The realisation that the best welfare for animals might come about while promoting the best welfare for humans through a plant-based diet, effectively making factory farms obsolete, would undoubtedly have fulfilled Ruth’s humanitarian vision for the real well-being of animals and humans. She had felt that voluntary codes (though necessary) led to much less improvement than laws. The scientific evidence that an ‘animal protein’ diet is the main cause of disease in humans needs to be made publicly available to consumers to give them the option of choice:- meat, chicken, eggs, dairy products and fish carrying a government health warning (like on cigarette packets). Ruth Harrison, Rachel Carson (who wrote fifty years ago about the hazardous effects of pesticides in the food chain), Colin Campbell and all genuine scientists share a profound ethical awareness of the interconnectedness of life ─ which they stress must be taken into account to avoid global catastrophes. This underscores the truth that the highest science is Ethics because it is to do with survival of all Life (and not merely knowledge). Changing to an ethical way of life is not only a change to a Vegan diet. It is a humanitarian decision undertaken for purely moral reasons to stop causing suffering to animals (and end the Dark Age of human degeneracy in the form of animal research laboratories and factory farming). How far have we got to where? Linden Brough is co-founder of Universal Octopus, a small independent publisher based in Cornwall, UK.